It is party and potluck season! 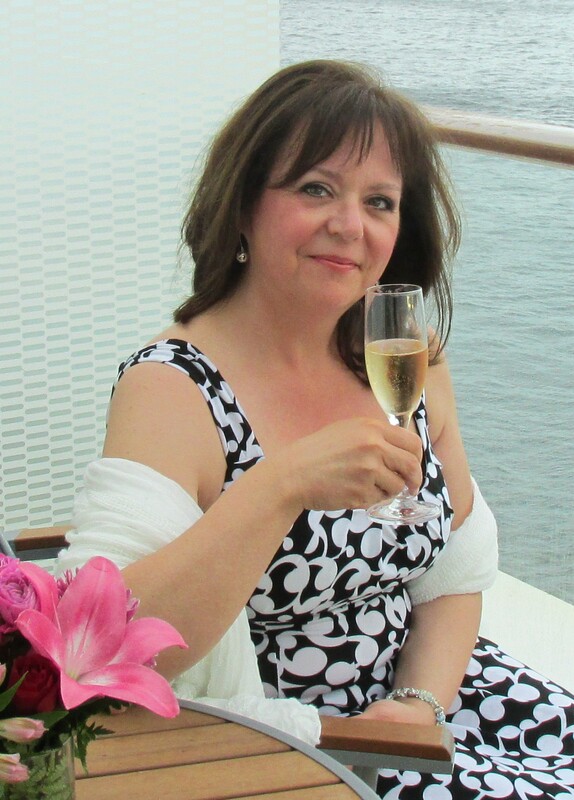 And my hubby and I will be joining friends for a great annual event this evening. I have been asked to bring either a vegetable dish or a dessert… Since I know a few others are already fulfilling the needs of all the sugar lovers who will be attending this festive affair, I have been really digging deep in my recipe repertoire to bring a vegetable dish that is not so humdrum (such as a vegetable platter) all the while keeping in mind there could be a picky palate or two! After brainstorming with myself and my pantry, I decided to try something new. There is a little natural food store/café in my neighbourhood that makes this awesome “forbidden” rice and edamame salad and I have been known to indulge on this unassuming dish from time to time. The flavours are definitely Asian but in a fragrant, non imposing kind of a way. So I thought I would attempt to re-create this delish salad. If my efforts failed, I would move on to plan B: the «oh so humdrum» vegetable platter! Well, needless to say that I am so happy with the results I thought it was worth sharing. Of course, the «King» taste tester in my life approved as well. So while this gorgeous jewel speckled salad rests in the fridge and absorbs all the flavours before we head out to our event, I am taking a moment to spread the joy on my blog! Forbidden rice is also known as black rice or purple rice. It is high in nutrition according to the literature I read but mostly, I like the colour it adds to a dish as well as it’s nutty flavour. After cooking, the rice retains a very enjoyable chewy texture. Of course, you can substitute the black rice with any other kind of rice you might have on hand. Rinse the rice thoroughly and add to a pot with 3 1/2 cups water and 1 tsp. salt. Bring to a rolling boil, reduce the heat, cover and simmer for 30 minutes. While the rice is cooking, get all the other ingredients ready. I used a 500g bag of frozen organic edamame which I cooked in boiling water for about 4 minutes and rinsed until cooled. In a small skillet on med-high heat, add a bit of oil and toss the cashew pieces until golden. Set aside to cool. Shred the carrots and chop the green onions; add to a large mixing bowl. Add the cooled edamame. Once the rice is cooked, drain in a colander and rinse with cold water until cooled. Let drain from excess water completely. For the dressing: whisk all the ingredients together. Taste and adjust the seasoning to your liking. I like the ginger flavour to shine through so I added a little bit extra. The taste of fresh ginger can vary in pungency so I always add it in gradually. I recommend starting with one tbsp. and adding more if needed. 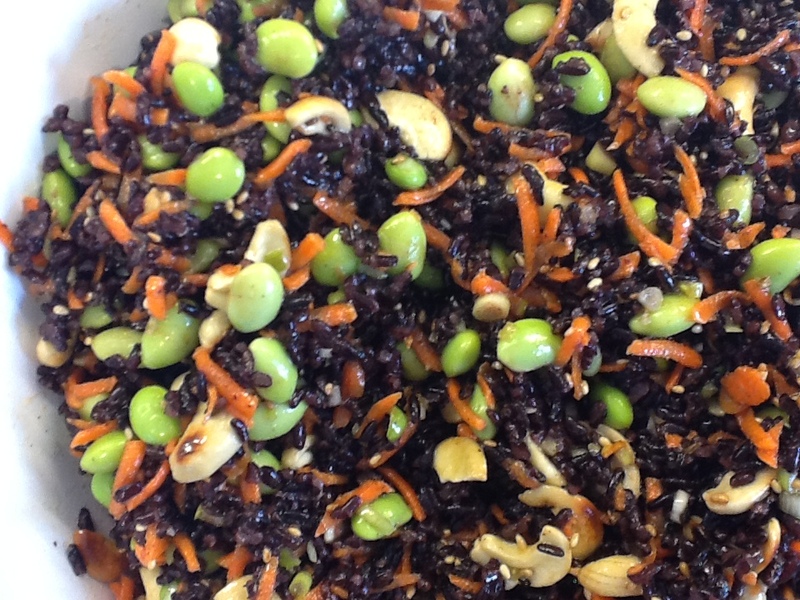 Assembly: add the rice, cashews and sesame seeds to the carrots and edamame mixture. Mix well. Start by adding half the dressing, tossing to coat well. Taste and add more dressing as needed. For my salad, I added 3/4 of the dressing and let the salad sit in the fridge for a few hours. Just before serving, I will give it a quick taste and add extra dressing if needed. This healthy salad is now ready to enjoy as a side dish or on its own as a main. It will also keep beautifully in the fridge for a few days.